Thika West OCPD Willy Simba displays a pistol recovered from the two suspects. It is believed to have been used in a spate of robberies in Thika and its environs. Police in Makongeni Thika have arrested two suspects and recovered 7 rounds of ammunition from a house in Kisii Estate. While addressing the press on Sunday at Makongeni Police Station, Thika West OCPD Willy Simba said that the arrest and recovery was made possible after a motorbike rider was robbed off his bike in Kilimambogo area in Thika East on Friday by 3 armed thugs. The motorcycle’s tracking device helped police in Thika West to locate the suspects’ hideout where two of the three believed to be notorious gangsters who have been terrorising residents of Kisii Estate and its environs were nabbed. “Our officers from Makongeni swung into action after the report of the robbery. And since the bike had some tracking device, they were able to locate it in a house in Kisii Estate,” he said. He said that police laid an ambush until 4pm when the two suspects came and entered into a building under construction but upon seeing the police, the suspects took to their heels. The officers are said to have pursued the suspects and with the help of bodaboda operators and the residents of the vast Kisii estate, they managed to arrest the two. Upon the search on the premises, they were able to recover the stolen and a clock pistol with 7 rounds of ammunition. 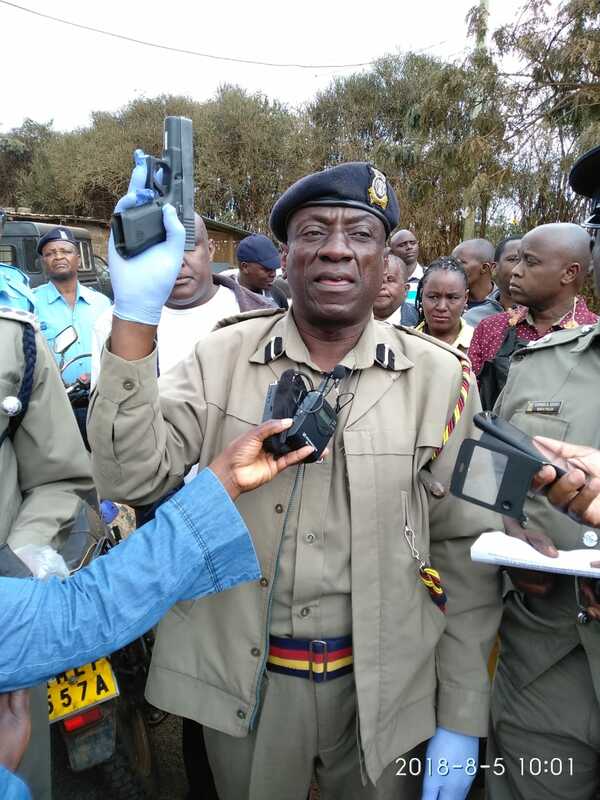 Simba added that the weapon has been used in a spate of robberies in Thika West and Thika East, including last month’s shooting of a local trader at Thika slaughter house. The suspects were then taken to Makongeni police station and will be arraigned in court today (Monday). The two, Wilson Kimani Murila, 26, and Richard Wambugu Mahihu 28, are helping the police with vital information that would lead to the arrest of their accomplice. The OCPD said they were also holding the father of one of the suspects who had allowed them to operate from his premises. He commended members on the public for helping police to make the major breakthrough.